ExecutiveBiz talked with Michael Moritzkat, vice president and managing director, about Seagate Government Solutions’ data storage products, cybersecurity offerings and what new technologies the company is developing. ExecutiveBiz: You have over 30 years’ experience in federal sales. How has your background prepared you for your current role and can you share any career highlights? Michael Moritzkat: Across my career, I’ve run the gamut of selling products to the government. I’ve worked for systems manufacturers, systems integrators, peripheral manufacturers and, in the mid-nineties, started working in the storage industry. All that experience is very helpful in understanding the way different computer manufacturers work and influences the way I interface with those companies. As far as experiences, two things really stand out for me in my career. 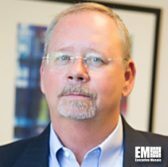 One was with the Department of Defense’s High Performance Computing Modernization Program where we were able to help them, from a software storage side, change the way they were doing business. The other was a very large, classified program with Boeing. Both were a lot of fun since we got to do some interesting, progressive things. I felt like we were a partner rather than just a vendor, so those contracts hold a special place in my career. On another note, I can tell you this is the most exciting time in government I’ve seen over the last 30 years. I think the issues, problems and requirements surrounding the storage paradigm and how we do more with less are challenging and exciting. There are so many new, different technologies and we must answer this whole cybersecurity problem which has become so complex and unruly. In fact, a Pentagon official told me we should assume all our networks have been penetrated and that data storage is our last line of defense. We’ve taken that seriously and worked very hard at protecting sensitive material. ExecutiveBiz: Where do you see Seagate Government Solutions bringing the most value in 2018? What new markets are you pursuing? 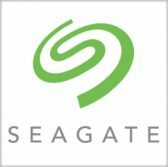 Michael Moritzkat: Our corporate parent, Seagate, has spent an inordinate amount of money to secure our product so that government agencies can take advantage of robust data encryption offerings. I think we were the first to have a 140-2 security device, if not the first. In addition, there’s so much data collected at end points that it’s difficult to process all that into a cloud. To make this easier, Seagate started an initiative, and developed products, allowing users to move data from endpoint to edge to core. Though the cloud’s scalability has won the attention of the government, for certain agencies that’s not possible yet given existing regulations and security requirements. The challenge for us lies in effectively leveraging our private cloud to address these security concerns. We’re in the process of having our disks and storage subsystems FedRAMP validated, which will allow internet service providers to take a secure product with corresponding documentation and package that with offerings to federal customers. ExecutiveBiz: What new products or services are on the horizon for Seagate Government Solutions? Michael Moritzkat: As the private and public sectors have realized, it’s very difficult to squeeze additional bits onto a drive given the form factor limitations. Luckily, Seagate has been working for years on a new disk technology called HAMR, heat-assisted magnetic recording, to achieve just that. Set for release this year, HAMR will allow us to greatly increase the density on a single disk drive, with a capacity of 20 terabytes and beyond per device. This is going to be a huge market change for cloud and Internet-of-Things providers who will need this storage capacity in the future. Additionally, we’ve been examining building a cold storage product that will make disks comparable to tape, in terms of reliability, power use and low cost per megabyte. I doubt tape will ever completely disappear, but if you look at the market over the last several years, you can see its decline. We spend close to a billion dollars a year in research and development, so we’re always developing new means to create, save and protect your data. ExecutiveBiz: What do the next 12-24 months look like for SGS? Michael Moritzkat: At SGS, we’re focusing on partnerships rather than acquisitions; we really want to partner with OEMs building full solutions based on Seagate’s storage technology. We’re also working with agencies on cooperative R&D programs, so that we can take our current and future technologies and get those to better fit agencies’ needs. It’s important to note that these aren’t sole-source procurements – or the promise of ones – for specific agencies. Rather, this initiative is a way to create all-encompassing solutions for multiple agencies, who are facing different, but inter-linked data modernization challenges. I strongly believe partnering with the government is key, rather than just building products and hoping they’ll buy them. Before joining Seagate Government Solutions in 2014, Michael Moritzkat held senior sales management roles at Xyratex, Panasas Federal and Sun Microsystems, among others.